Austin area civil litigation firm has a great opportunity for an experienced litigation associate attorney with up to 7 years civil litigation experience, preferably insurance defense. This firm represents clients, including Fortune 500 companies and major insurers, in all major areas of litigation. 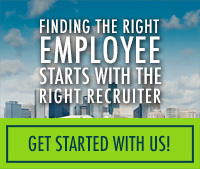 Successful candidate will support the firm’s philosophy to put the client’s interest first. We offer a great place to work, competitive salary and benefits package, along with a supportive team and friendly work environment. Outstanding law school and academic credentials required including a Juris Doctor, active Texas bar admission, and 5-10 years litigation experience. Jury trials tried is a must. Experience in handling construction defect, wrongful death, or other serious personal injury cases is a plus.